Welcome to the April 2007 edition of the Midnight Post. This edition is full of fun games to play: we are featuring a new puzzle game, a flash back to the classic game Frogger, and the tenth edition of Peegue's Puzzle Page. You'll also find brand new Wonderland Community and Gallery updates. 1. 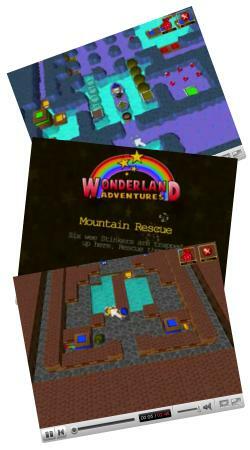 Video Solutions Available: Video walkthroughs for selected levels of Wonderland Adventures are now available here. These short videos show level solutions to help you through the game. For other sources of wonderland solutions, please have a peek at our community update as well.